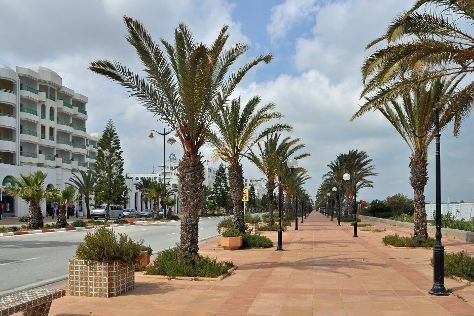 Start off your visit on the 9th (Sat): enjoy the sand and surf at Hammamet Beach, then take a stroll through Yasmin Hammamet, and then make a trip to Medina of Hammamet. To find more things to do, reviews, other places to visit, and tourist information, read Hammamet sightseeing planner . Dubai, United Arab Emirates to Hammamet is an approximately 13-hour combination of flight and bus. You can also drive. You'll gain 3 hours traveling from Dubai to Hammamet due to the time zone difference. Expect slightly colder temperatures when traveling from Dubai in February; daily highs in Hammamet reach 19°C and lows reach 9°C. Finish your sightseeing early on the 9th (Sat) to allow enough time to travel back home.